My son is 11-years old. The kid eats ALL the time. I have a cabinet full of snacks and granola bars, but I worry about too much sugar and the lack of protein. 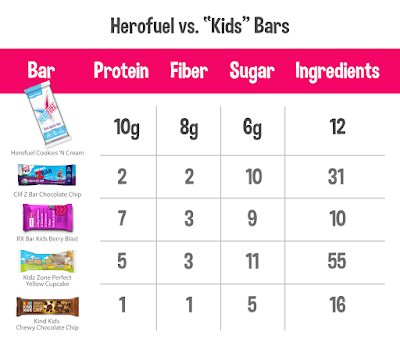 Thankfully, HEROFUEL, the first and only sports bar designed for kids, launches today! Available in two flavors: Chocolate Chip Brownie or Cookie N Cream. I got a sample in the mail and my son LOVES the bars! Good news--You can get a sample too! Enter your email address on the website HERE. It’s the first and only sports bar made specifically for kids. 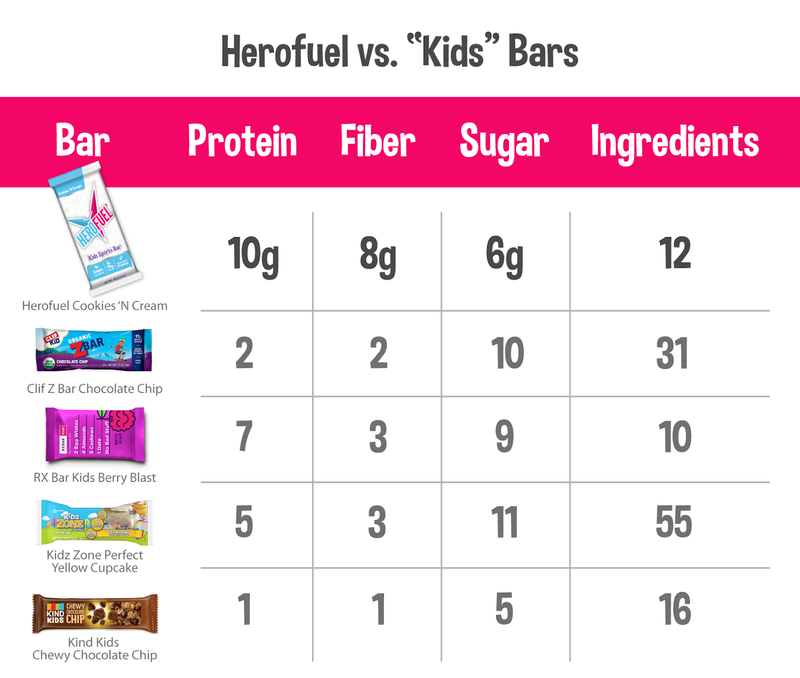 Kids love the taste, parents love the nutrition. By the way, these bars were created by a husband and wife Reid and Kassidy Pearson, who were avid young athletes and now triathletes. Understanding the importance of nutrition on performance, the Pearsons were surprised at the lack of nutritious, convenient snack options for kids playing youth sports. How do you purchase? It's easy! You can buy online at shopherofuel.com or on Amazon.com. Let me know if your little athlete loves them as much as my son!